Onel from our bilingual (English-Indonesian) blog, “Onelmon” has a neat tutorial as always in English for us. Be sure to check out all her craft projects you will not be sorry. 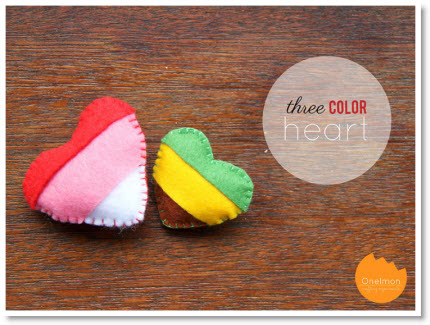 She has a “Three-Color Heart tutorial” and a pattern. This is a last minute Valentine for your sweetie or a friend. Thanks for your sweet projects Onel and Happy Valentine’s Day!